I haven’t really listened to anything new this week that I wouldn’t usually, it’s been a week where I’ve just stuck my Apple Music on shuffle and hoped for the best. Luckily these songs were some of the ones that came up and the ones I’ve been enjoying the most this week. These are mostly the ones I’ve been dancing around the kitchen to while cooking! 2. I Try – Macy Gray3. Make Me… – Britney Spears ft. G-Eazy4. Emperor’s New Clothes – Panic! At The Disco5. Anklebiters – Paramore6. London Queen – Charli XCX7. Under The Sea – The Little Mermaid, Samuel E. Wright8. Sexed Up – Robbie Williams9. Undisclosed Desires – Muse10. 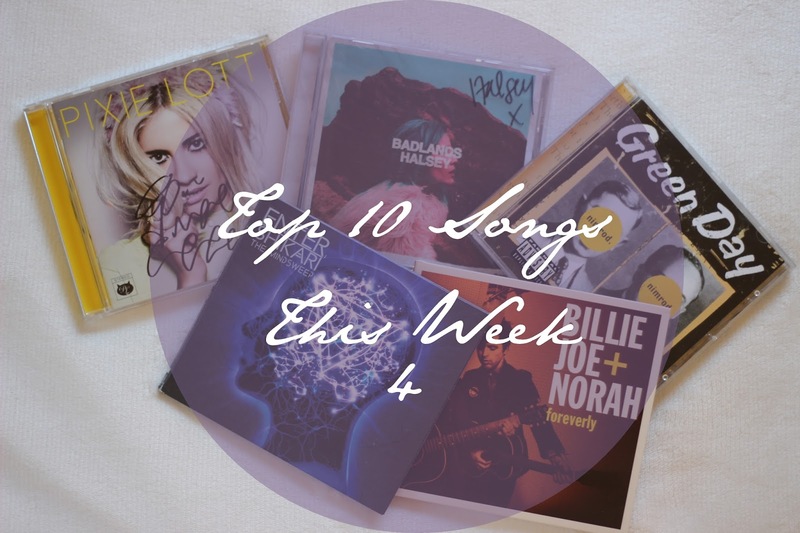 Daniel in the Den – BastilleWhat songs have you been enjoying this week?